It’s comically ironic. France has now recalled its ambassador from Rome in a mounting row over Italy’s alleged “interference” in French internal political affairs. This is at the same that France and other European states are joining in a brazen campaign by the United States to overthrow the elected president of Venezuela, Nicolas Maduro. Irony doesn’t come much thicker than that. The row between France and Italy is but the latest in a long-running spat between French President Emmanuel Macron and the newly elected coalition government in Rome. 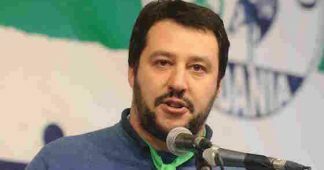 The Italian government is an unlikely coalition between the left-leaning Five Star Movement (5SM) and a rightwing party, La Lega (The League). Both parties are highly critical of the EU establishment and neoliberal capitalist polices which France’s former Rothschild banker-turned-president Macron embodies. 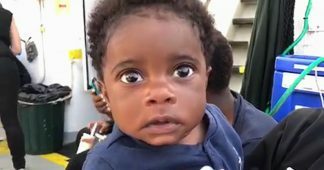 Rome has also slammed France for its responsibility in fomenting massive immigration problems for Europe and Italy in particular through Paris’ criminal military interventions, along with the US and other NATO powers, in the Middle East and North Africa. Reacting to reports of Italian government contact with the French protesters, France’s Foreign Minister Jean-Yves Le Drian said it was “outrageous interference” in his country’s internal affairs. The row has further escalated after France recalled its ambassador from Rome. The last time that happened was in 1940 during the Second World War. This is a major breakdown in relations between two of the EU’s founding members. Here is where the irony descends into farce. 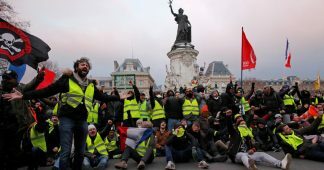 France is blustering with rage at Italy’s alleged meddling in its sovereign affairs while at the very same time the French government is party to an international effort led by the US to bring about regime change in Venezuela. The hypocritical arrogance is priceless. This week France and several other EU members, including Germany, Britain, Spain and the Netherlands, announced that they were “recognizing” a self-proclaimed president in Venezuela. 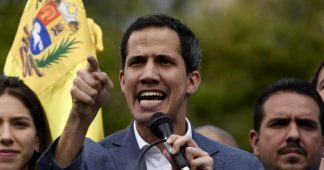 Marginal opposition figure Juan Guaido declared himself the “interim president” of the South American country on January 23. There are well-documented links between Guaido and his far-right opposition party to the American CIA. The move to delegitimize the elected president, Nicolas Maduro, has been orchestrated by the Trump administration. It is a blatant illegal regime-change maneuver that violates the UN Charter and international law. Maduro’s socialist government and the nation’s natural oil wealth – the largest known reserves on the planet – are obvious targets for Washington and European capital. Russia, China, Iran, Turkey, as well as some Latin American countries, including Mexico, Nicaragua, Bolivia and Cuba, have rightly denounced the interference in Venezuela’s sovereign affairs. Washington’s demand for Maduro to step down under the threat of US military invasion is a staggering display of imperialist aggression. But the international gangsterism is being indulged by certain European states, primarily France, which are bestowing a veneer of legitimacy to the whole disgraceful business. Italy is one of the few EU states that has refused to go along with the US-led criminal campaign for regime change in Venezuela. The Italian government reportedly blocked the EU from issuing a joint policy statement calling for the recognition of Guaido as “president” in place of Maduro. Those European powers that are engaging in the Washington’s violation of Venezuela are doing so on their own complicity, not in the name of the EU. Italy’s principled stand, along with Russia and China, in defense of Venezuela’s sovereignty is a commendable adherence to international law. By not allowing the EU to be associated with the US skulduggery, that is a vital setback to Washington’s machinations. 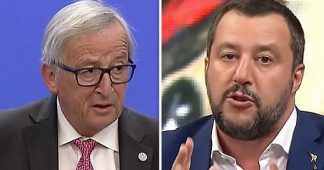 Thus, the Italian government has saved the EU from descending into total disrepute. It is bad enough that certain members like France are engaging in the US-led gangsterism against Venezuela, but at least Italy’s blocking action has prevented the EU as a bloc from being complicit. If the fundamental principle of non-interference in the sovereign affairs of nation states is not respected, then the entire system of international law unravels. The principle has been violated many times in recent years, most notably with illegal wars conducted by the US and its NATO partners in the Middle East and North Africa. But the latest episode of regime change in Venezuela is perhaps the most audacious yet. 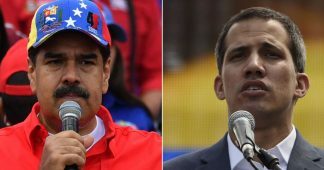 Washington and its European lackeys are intent on abolishing the democratic mandate of President Maduro and the ruling of Venezuela’s Supreme Court. Washington and its pathetic European accomplices are opening a Pandora Box of global lawlessness if they get away with their criminal bullying of Venezuela. Russia, China, Italy and other nations are essentially holding the line between a semblance of order and unfettered chaos. We may consider the Italian deputy premier’s contact with French protesters as ill-advised politics. But whatever mistake Italy may have done in that regard, it is negligible compared with the astounding arrogance and criminality of France and other European states in their violation of Venezuela’s sovereignty. The arrogance of France’s reaction to Italy’s alleged interference this week is a spectacle to behold. If anything, Italy deserves applause and respect for exposing the hypocrisy of France and other European would-be Neo-colonialists. A bitter aspect of the irony is this: the French president and others are contemptuous of democracy and international law, not just in Venezuela, but towards their very own people.